West Bromwich have failed to win 96% of their last 24 games in Premier League. West Bromwich have failed to win in their last 12 away matches in Premier League. Deportivo have failed to win their last 7 games in La Liga. There have been over 2.5 goals scored in Deportivo’s last 4 games in La Liga. Deportivo have conceded at least 2 goals in their last 4 games in La Liga. There have been over 2.5 goals scored in Real Betis’s last 5 games in La Liga. Real Betis have scored 2 goals or more in each of their last 3 away matches in La Liga. Nuernberg are undefeated in their last 8 games in Bundesliga II. There have been over 2.5 goals scored in 88% of St. Pauli’s last 8 games in Bundesliga II. There have been under 2.5 goals scored in Nuernberg’s last 3 away games in Bundesliga II. Palermo have won their last 3 home games in Serie B.
Palermo have kept a clean sheet in their last 4 home games in Serie B.
Palermo have scored 28% of their goals in the first 15 minutes in Serie B. 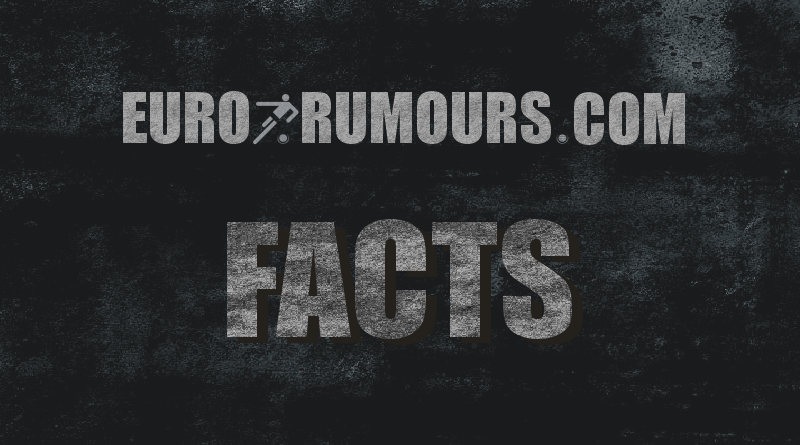 71% of Foggia’s matches had over 2.5 goals scored in total in Serie B.
Foggia have scored in 83% of their away matches in Serie B.
Auxerre have scored in each of their last 7 matches in Ligue 2. Auxerre have scored in 92% of their home matches in Ligue 2. 67% of Nimes’s matches had over 2.5 goals scored in Ligue 2. Nimes have scored in 82% of their away matches in Ligue 2. PAOK Thessaloniki FC have won their last 9 home games in Super League. PAOK Thessaloniki FC have kept a clean sheet in 88% of their last 8 home games in Super League. AE Larissa have failed to win 92% of their last 25 away games in Super League. Galatasaray are undefeated in their last 12 home games in Super Lig. Galatasaray have won 92% of their last 12 home games in Super Lig. Adanaspor have drawn their last 3 home games in TFF 1. Lig. CSMS Iasi have won their last 4 home games in Liga I.
Gazisehir Gaziantep FK have won their last 3 games in TFF 1. Lig. Dinamo Bucuresti have kept a clean sheet in their last 4 away games in Liga I.
Hapoel Beer Sheva are undefeated in their last 14 home games in Ligat ha’Al. Antalyaspor have failed to win their last 9 away games in Super Lig. PAOK Thessaloniki FC are undefeated in their last 10 games in Super League. Estoril have failed to win their last 8 away games in Liga NOS. Gazisehir Gaziantep FK have kept a clean sheet in their last 3 games in TFF 1. Lig. Adanaspor are undefeated in their last 10 home games in TFF 1. Lig. Moreirense have failed to win 90% of their last 10 home games in Liga NOS. Galatasaray have scored at least 2 goals in 91% of their last 12 home games in Super Lig. There have been over 2.5 goals scored in 80% of Estoril’s last 10 away games in Liga NOS. There have been over 2.5 goals scored in 80% of PAOK Thessaloniki FC’s last 10 games in Super League. There have been over 2.5 goals scored in 83% of Chelsea’s last 6 games in Premier League. Estoril have conceded at least 2 goals in 80% of their last 10 away games in Liga NOS. PAOK Thessaloniki FC have scored at least 2 goals in their last 6 home games in Super League. There have been over 2.5 goals scored in 86% of Galatasaray’s last 7 games in Super Lig. There have been under 2.5 goals scored in 88% of Hapoel Beer Sheva’s last 8 games in Ligat ha’Al. Galatasaray have won with at least a 2 goal margin in 80% of their last 10 home games in Super Lig. PAOK Thessaloniki FC have won with at least a 3 goal margin in their last 3 home games in Super League. Gazisehir Gaziantep FK have won with at least a 2 goal margin in their last 3 games in TFF 1. Lig.